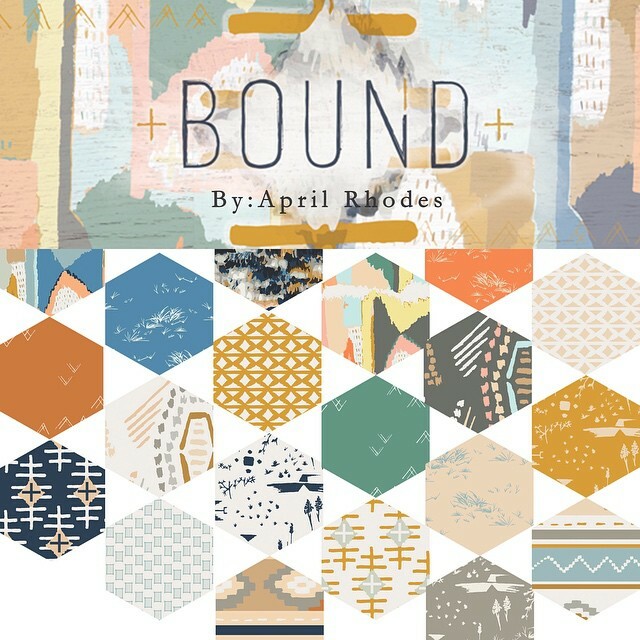 Bound is designer April Rhodes‘ third line of fabrics (she designs clothing patterns too) to be released in a week or so. 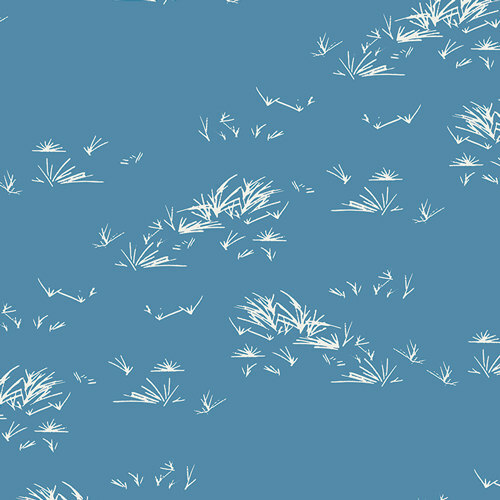 I usually gravitate towards fairly bright colours, but now and again I crave the softness of a more muted collection. 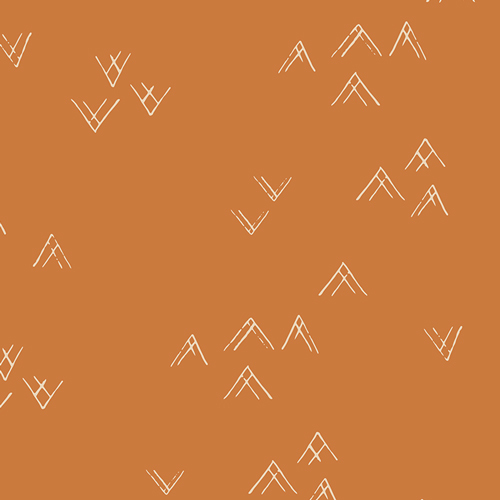 I love the southwestern feel of all of Aprils fabrics. I can picture still mornings with cool sunrises over dusty rock and tough sun loving flowers that prepare for hot dry days. There are lots of similarities with the colours of Australia too. I love the subdued tones of those warm landscapes that have to reflect sunlight and store water any way they can. No saturated lush greens. But the sky is bright and the red earth is too. 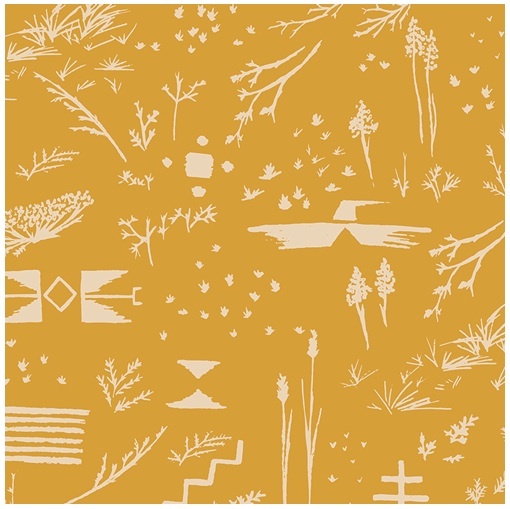 I’ll be figuring out a way to incorporate this fabric into my work soon. Especially because they’re made by Art Gallery fabrics, which is great because their fabrics are super soft and easy to work with. Definitely looking forward to this release. Bound sprung from April’s love of collecting & making woven wall hangings, cozy blankets, vintage macramé and paintings. Stroll to an empowering environment organically colored with brushstrokes of tangerine, soothing sea, malachite greens and autumn sunset. 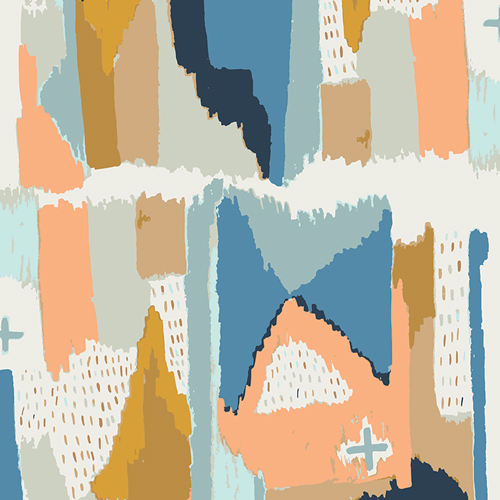 I really like the middle fabric (third pic down) – there’s so much going on, it’s like a story almost.